Run down of what I did. 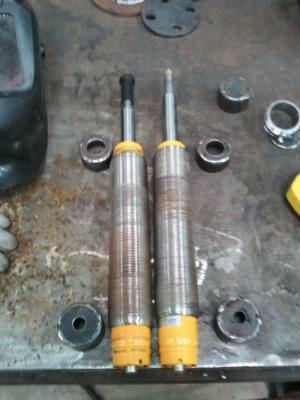 Measured inside diameter, Koni inserts are 43.5mm. The front struts where already 44mm, the rears needed to be machined out about 2mm.Bought some 40NB extra light pipe, it's supposed to be 43.8mm inside. I had to grind the weld off the inside of the pipe and grind a little bit more to make it press-fit onto the end of the inserts so there is no slop. Cut some end caps of out 3mm sheet, drilled holes for adjusters and shaft and welded them to the pipe. Cleaned up the welds and reassembled coilovers. badass, lots of work involved, nice fab work. 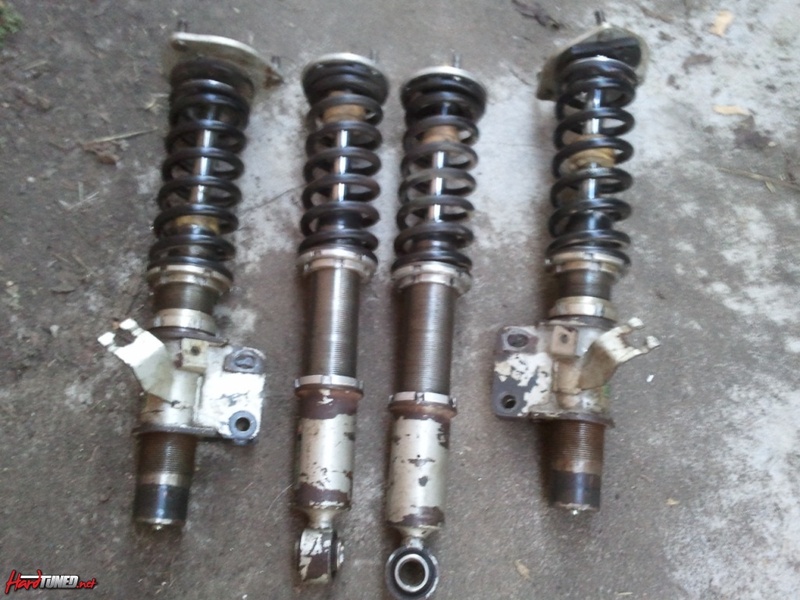 The coilovers were pretty old 4 yrs ago when I bought the car, with the shocks out they feel pretty rooted, there's not much dampening going on. It has been a few years since I've done much welding so it isn't too pretty, it's not going to break though. I could've thrown some paint on them and they would probably look 100x better, but by the time I had them finished I was over it. Depending on how these handle I will probably go to a softer spring on the rear so I can use my whiteline swaybar instead of the stock one. The silkroads look pretty similar to my Apexi N1's. I'll have to have a look when i'm back in Aus. What was the cost of the shocks to your door? I'm keen to hear some back to back feedback from you. I think most will be around the same size. not sure when I'll be able to try them out. hopefully in the next 3-4 weeks. As long as i don't go slower I'll be happy. cost was about 750 for the fronts and 460 for the rears delivered from summit racing in the states. So why did you need to get them machined out, but then add the pipe inside to get rid of the slop? I have a flogged out set of D2 coilovers i'm thinking of pulling apart for this and might just sell the apexi's off. Edit: I'm guessing you machined the internal thread out that the top and bottom cap screw into right? I had to machine the rears because they were about 2mm undersize. Machined them a little bit oversize or I wouldn't have been able to get the struts in without a lot of force. Welding the pipe on was the easiest way to fix the slop. If the D2 coilovers are big enough internally you might be able to use Koni gland nuts on the threaded end of the housing, they come in a couple of different thread sizes too. That will save welding both ends. I'll be going to Lakeside practice on Saturday to find out how the shocks go. Went to open practice at Lakeside today, was pretty much a waste of a day. 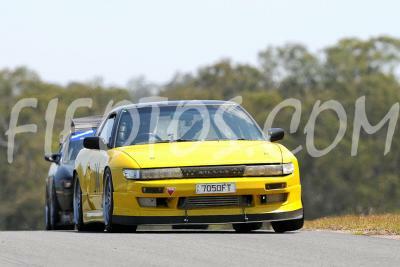 There were about 30 cars in our group, including excel's and others that were at least 10 secs a lap slower. 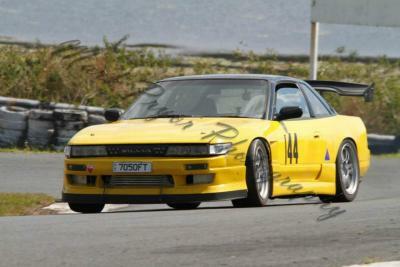 The car definately feels more planted over the bumps, especially over the hill before the bridge and under the bridge. I didn't get a clean lap all day but still managed a 58.4, including passing a car, which cost me 0.4 secs. I think with a clear track the car should be around half a sec faster than before. Before QRDC in 2 weeks time the car is getting retuned, I'm changing the rear springs from 6kg/mm to 300lb/in(5.4kg/mm) and reinstalling my adjustable rear swaybar. Also blew another manifold to turbo gasket. No idea why this keeps happening. I use cone-lock nuts and lock tabs, i have machined the flange to make sure it's flat, the exhaust is supported at the gearbox and the dump pipe has a flex in it. The nuts still seem to come loose all the time. Seriously considering going back to the stock manifold from the steampipe one I'm using now. So over changing the gasket ever 3-4 meetings. That's strange. I have a steam pipe manny on one of them and don't have the issue. I use just normal exhaust nuts and the lock tabs. The other one is a factory manifold, both with no issues. Are you running solid engine mounts by chance? 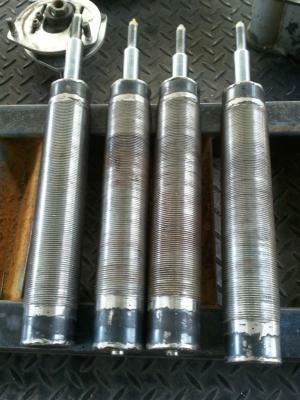 Glad to hear the new shocks went well. 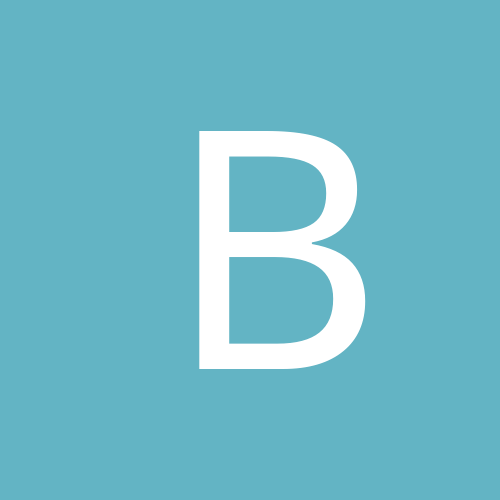 Are you using a genuine gasket? Are u using the locking tabs? He already said he is using locking tabs. And gasket has everything to do with it, you go buy some of those china $10 eBay gaskets and put them on your car, you will be lucky if they last a month. 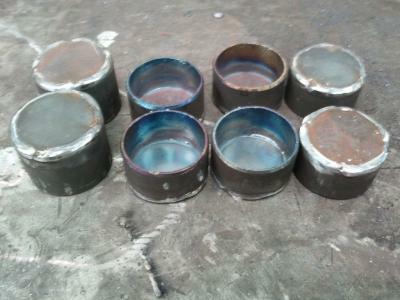 Using genuine metal gaskets and using quality studs. No solid engine mounts, just Nismo ones. STR8E180 do you weld the studs into the manifold when you make them? Or just screw them in tight? That's pretty much the only way I can see them coming loose. 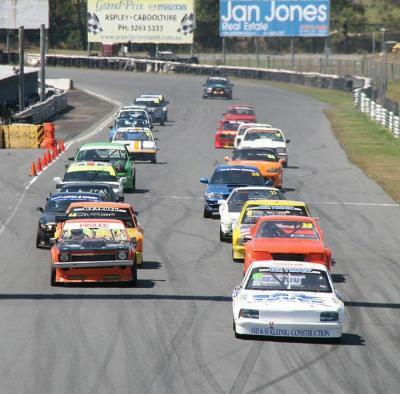 Reckon a ruzic timeattack day is the best value at 150 for a half day with stacks of clear track time. 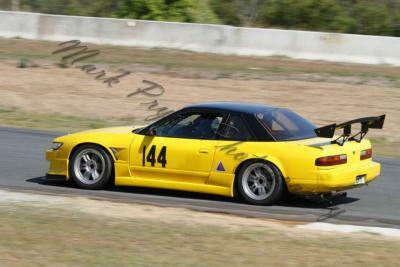 One on next sat, i'm busy though.. friday before the race meet is going to be my only shakedown eep. also rage @ the gasket.. mine hasnt missed a beat since STZ did it last back in feb... where you headed for the retune? Same mounts as me. Seems strange. Maybe when the manifold heats up the thread is a little sloppy and the studs are loosening. You could put a weld on the pipe side of the manifold flange to stop the studs from moving? As much as I enjoy watching the excel race series they do cause chaos in the open practice sessions! I think that's what I'm going to do this time Clint, tack the studs to the manifold and nuts on the studs. And check again that my exhaust isn't putting any extra strain on it. Cal, I don't think I'm ever going to do open practice again after Saturday, sooo dangerous, especially at Lakeside. Getting it tuned at STZ. Car was tuned yesterday by STZ automotive. 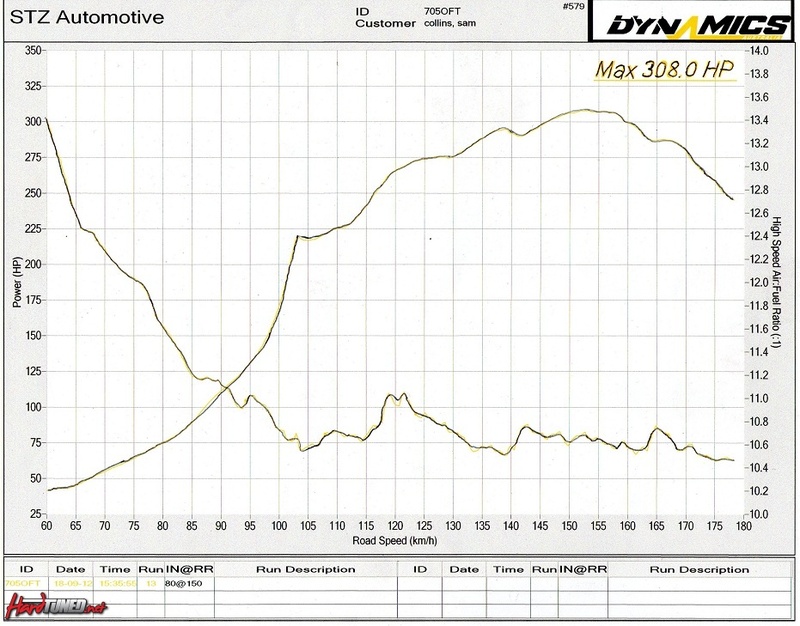 It made 308rwhp on 20psi, which was up around 25-30hp on what it made on the first run on 18psi. It was done with the semi-slicks on so there was a fair bit of wheelspin, power was probably down a bit from where it should be because of that. Just finishing getting it ready for QRDC at Lakeside this weekend. Competed in my first round of the QRDC at Lakeside on the weekend. 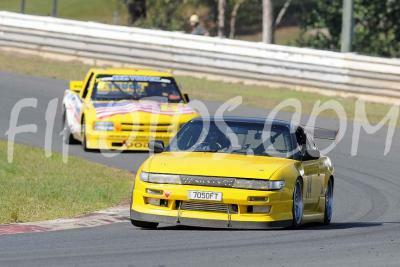 Ended up 4th in our category, sports and sedans and 1st in the sports car class after Callum had a DNF. 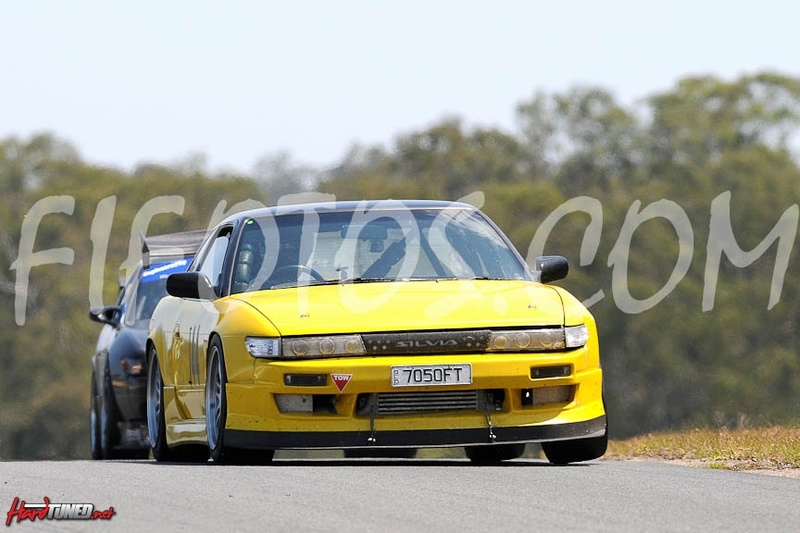 The car ran perfectly all weekend, I did no work on the car all weekend apart from play with shock settings and put fuel in it, which was awesome considering we did over 60 laps for the weekend. Couple of videos as well. rad fun weekend, awesome hard and fair driving, slicks are what you need next ! Found a second hand 6boost T3 high mount hpc coated manifold with Tial ext. wastegate for cheap. Just trying to decide which turbo to get. 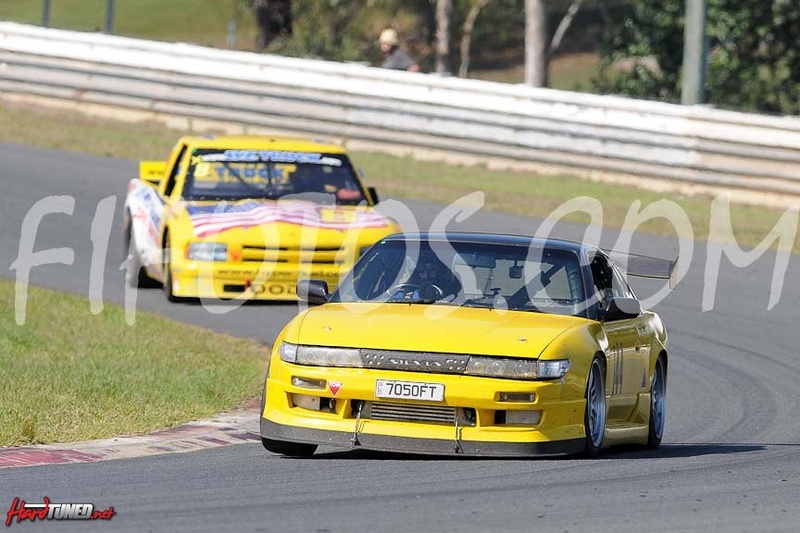 Tossing up 2 choices at the moment, either a GT3071r 0.63 or a Kinugawa TD06-20g 8cm. Both turbos seem to make around the same power with the same response. The garrett costs twice as much, but I'm a little bit concerned about the longevity of the Kinugawa. At this stage I'm leaning towards the Kinugawa, there seems to be plenty of people running them now with minimal problems. What sort of bearing is in the Kinugawa? Bush or ball bearing? Ball bearing would be ideal for a circuit car. I'm running a 3071R on mine and it's not something you bolt straight on, you'll want supporting mods to suit like matching camshafts and valve springs and a motor that can run 22-23 psi all day as that is its maximum efficiency range. It's still quick on 1 bar, but nothing on when you dial in 23psi. 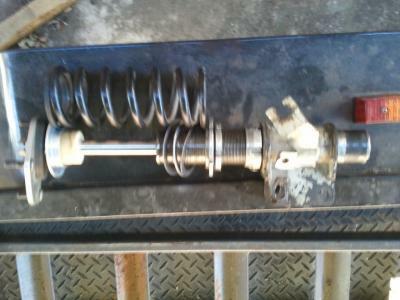 Bush bearing, but so is the t518z I'm running atm. They are also water cooled, unlike the Trust turbo I'm running atm. Yours was done on a hub dyno wasn't it? So it would make around 10% less on a dyno dynamics dyno? 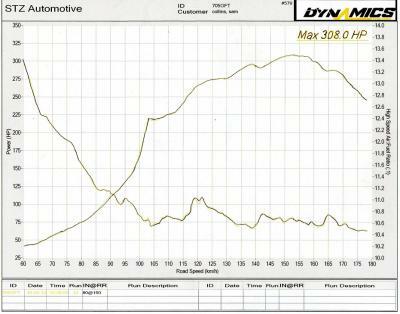 Yes it was a hub dyno but I haven't compared it with another roller dyno. GT Auto Garage tuned it. Ball bearing would be better for response by a couple of hundred rpm, but I'm guessing the $700 price difference wouldn't justify that though.. 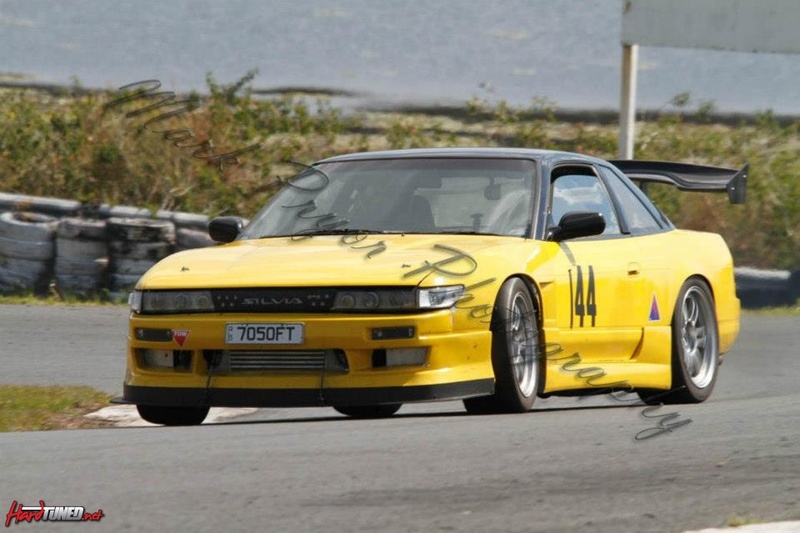 I've read plenty of good feedback on the Kinugawa, but usually only after just being recently dyno'd.